Laura Miller walking barefoot in Central Park for the first time in years. Summer 2011. “Eventually living every minute with pain became too much for me. I was forced to make drastic changes in my day-to-day life in order to cope. The pain affected everything in my life but what scared me the most was that the pain was spreading to other parts of my body. I desperately needed to find a solution before the pain overtook me,” Laura Miller, 23, of Greenwood, IN, explains. In 2005, the special education teacher was involved in a serious car accident that resulted in severe whiplash. Doctors advised her that recovery from a back injury can take a long time. But when her pain level remained constant over a period of months and then years, she aggressively began researching solutions on her own. After receiving countless prescriptions for painkillers and undergoing a menu of therapeutic treatments, many painful and invasive, she was no better off. “I saw the top pain management doctors who eventually gave up on me and told me I should push through the pain and learn to live with it,” Laura recounts. “Push through the pain? That would not be possible.” Then, after foot surgery in 2008, a post-operative constant burning and electric pain started in the affected foot, spread to the other foot and eventually to both hands. Laura Miller was diagnosed with fibromyalgia in her back and reflex sympathetic dystrophy (RSD) in her feet and hands─which was spreading to other parts of her body. But while she was undergoing a new pain therapy at a renowned hospital in Ohio, her friend, Amanda Davidson, another RSD sufferer, posted on Facebook about being a “new person” after undergoing Calmare Pain Therapy Treatment at Rutherford Allied Medical Group in Rutherford, NJ. “Amanda said Calmare had given her life back,” Laura recalls. “She wanted to shout to the rooftops to anyone living with chronic pain that there is real help that truly works.” Laura and her husband talked and agreed to halt the current treatment regimen and drove to New Jersey to meet with Dr. Michael J. Cooney. “Once I started the 45-minute treatments, I felt pain relief almost immediately,” Laura recalls. “Even now, I still can’t quite believe this has all happened.” Today, 11 Calmare treatments later, the 23-year-old is virtually pain-free after six years of daily torment. During Calmare Therapy, there is no pain, no side-affects or medication requirements of any kind. Laura and her husband made the best of the trip and spent time in New York City between treatments. 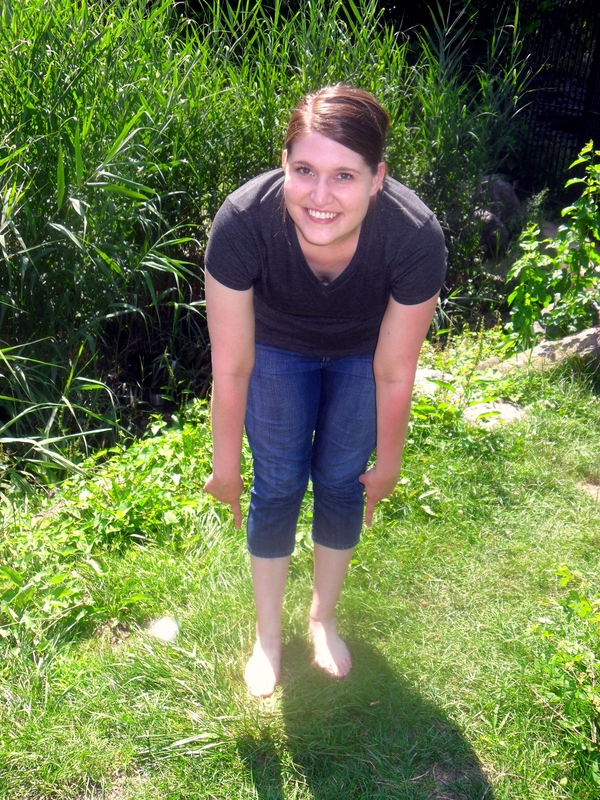 In fact, Laura took her first barefoot steps in years, walking on the grass in Central Park. “My husband was taking pictures, I was crying and everyone must have thought we were crazy!” laughs Laura. Today, Laura is reveling in her pain-free life back in Indiana by enjoying the little things, like blow drying her hair and just washing dishes. She’s also thrilled to be reconnecting with the outside world. Most of all, she is determined to spread the word about Calmare Pain Therapy Treatment to people living with all kinds of medication and therapy-resistant pain. “Dr. Cooney and Calmare have given me back everything the pain took away and I am determined to help other people down this path in order to live a better life. There is no reason to live in constant pain when a treatment like Calmare is available.” To watch Laura’s video recount of her experience, click here.